Ben Reed pauses to look around at the work he has yet to do in the forest near his home in Bear Lake. 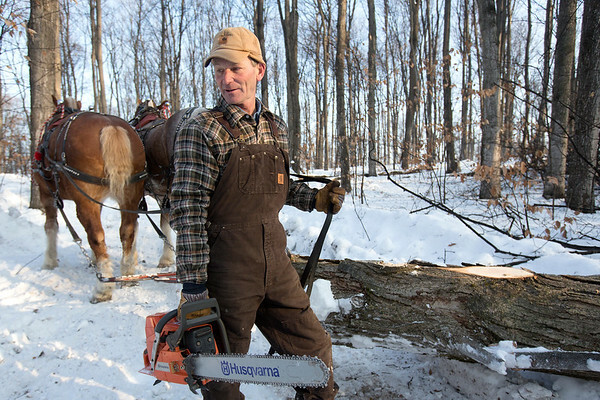 Ben Reed has been using horses to log Northern Michigan's woods for over 30 years. The horses cause less damage to the land which means he can come back ten years later and log the same woods.